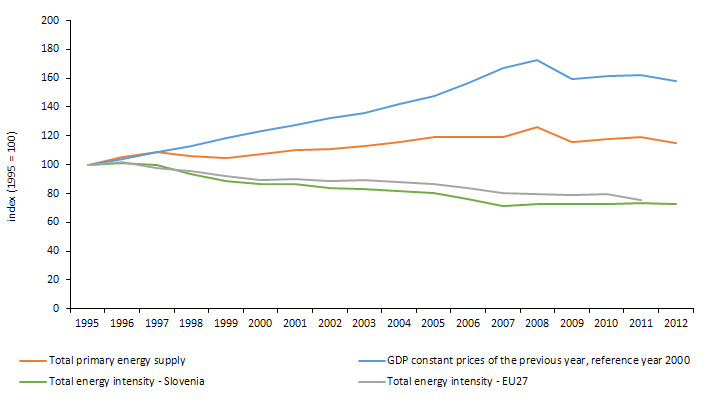 Slovenia has a high degree of energy intensity, but her reduction has stopped in recent years. 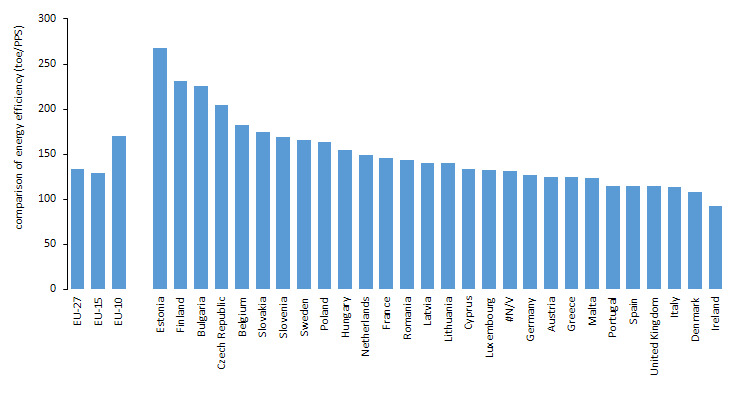 Due to Slovenia departs from the average EU-27. 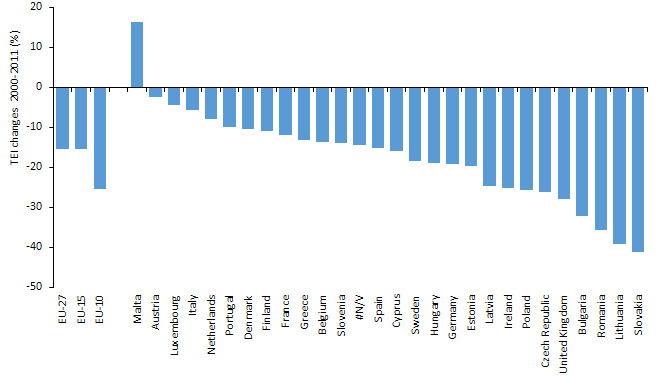 This represents a departure from the goals set.